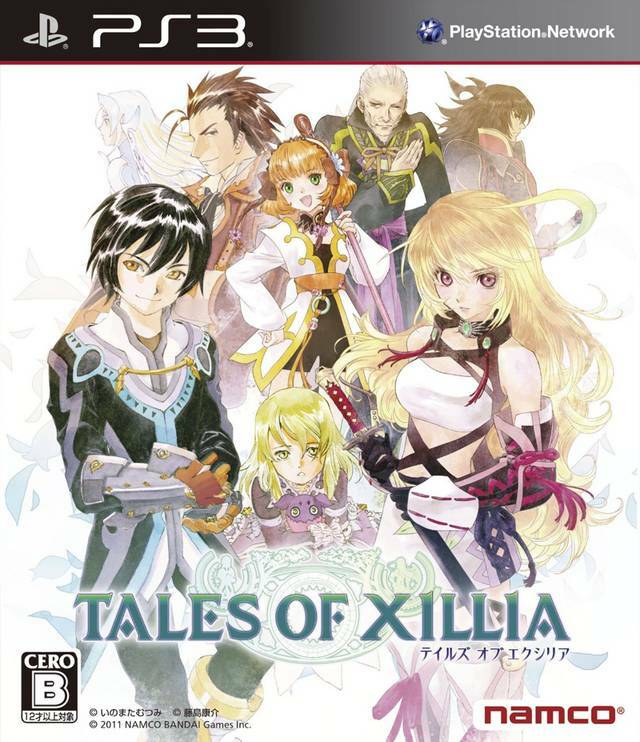 After a 2 year-long wait amongst most western fans, Tales of Xillia finally appears in celebration of its 15th anniversary. Surely, this is no frivolous achievement especially with all the growing pains and changes the series has made in the past, yet with Tales of Xillia (henceforth TOX or Xillia) it is a long way from being able to live up the pedigree of excellence the series wishes to set. 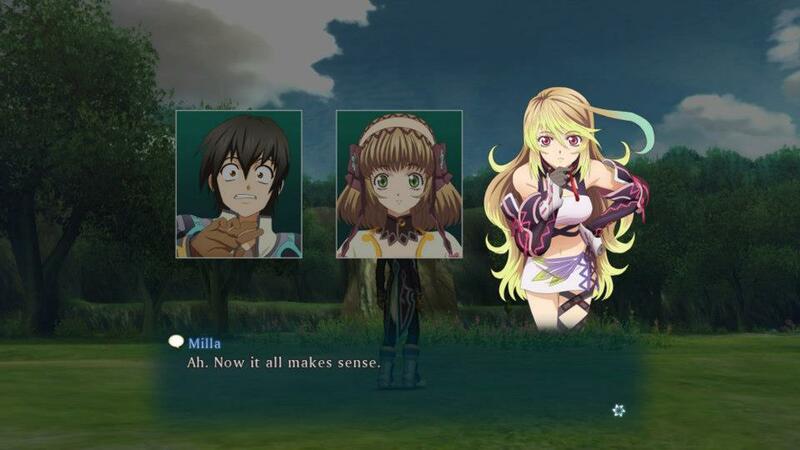 Of course, that does not omit the fact that TOX still retains its sense of grand adventure, humor, and enticing narrative – it is just in a more subdued and hollow package with it missing some of its more noticeable features like cooking with recipes you gathered or solving brain teasing puzzles to advance through a dungeon. It is simply just missing that spark – that feeling of an artisan crafted experience that marries one part immersive story, one part riveting humor, and the other part solid gameplay . Regardless, TOX is still worth picking up if you are a long time follower of the franchise or just simply looking to add another JRPG title to your library of fun and amusement. Just expected it to be done slightly different than you imagine or remember. 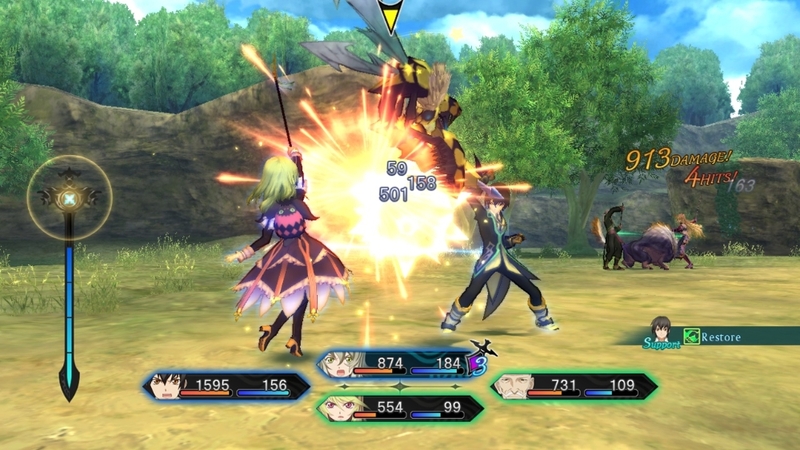 In TOX, you can choose to take on the role of either two unique characters: master of spirits, Milla Maxwell or the indecisive medical student Jude Mathis that are drag into a winding gambit to save their world – Rieze Maxia from multiple threats and perverse the peace of their slowly dying planet. While there is little to no difference between the two in narrative and having access to both throughout the game, only a few choice scenes and events change. The dual protagonists anchor only seems adds to the game in length, since either character is able to flesh out the storyline and plot adequately, but just executed in a different way. So you will not be missing out on much and still cosigned to the same slow and lethargic beginnings for the first 7 to 10 hours that are nothing short of belabored boredom. The game really doesn’t start to pick until you reach the 2nd of 4 chapters, in which you are introduced to more characters and the meat of the plot that breaks up the tedium most of the first half carried due to the lengthy scenes and exposition. That being said, TOX is also very short, with one playthrough being roughly equal to 25-35 hours, but with plenty of sidequest (simple, but a tad annoying in my opinion) and trophies to earn – it easily extends that limit and always a nice excuse for 2nd playthrough. It definitely isn’t the most neat and tidy of “Tale” narratives woven together due to its poor execution and hasty writing, but not exactly terrible either. Combat is another feature that gets a fine overhaul like other gameplay elements that allows for exciting and fluid battles, but also rather bare as well. Stripping away many elements that its last title, Graces F introduced, TOX runs on the Double Raid-Linear Motion Battle System or DR-LMBS for short, a battle system that allows the player to form “links” with various parties members to unleash powerful attacks or perform unique character actions like stealing items or breaking a foe’s guard. Much like the rest of the series, TP is still required to performed arte attacks, but also must meet the Assault Counter count or AC, an element similar to Graces that only made use of CC and not TP. With teamwork being a large part of combat to pull off special link artes and even perform them in rapid succession, you can easily get by without adhering to linking even on the hardest difficult setting, but taking full advantage of what the game has to offer will take you far and half of the fun. The Lillum Orb system is another component that provides that advantage and enjoyment, allowing the players to learn artes and skills of their choosing. Similar to the Sphere Grid of Final Fantasy 10, with points earned leveling up in combat called GP, you choose specific abilities and upgrades as you move along that path on the grid. Filling out the path will unlock various artes and skills in between as well as add the upgrades you specified. 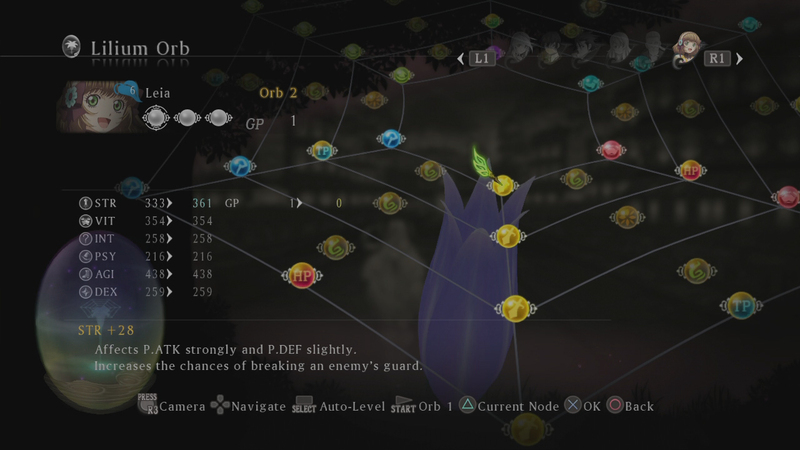 The more artes and skills learned, the more the orb will reveal more skills and even open up another orb to map with its own upgrades. Its nothing too special, but a nice touch from the normal “learn XYY” at this level element other JRPG and RPG’s have attached to their kind. Item purchasing has also been streamlined for the better and gets rid of another aliment RPG’s present. Instead of going town to town buying new equipment and gear, all the shops in every town carry the same items. To get new equipment, you have to buy and sell items to increase the shop rank, thus increasing the items available and even getting price discounts. Donating raw items/money (Gald), however, will make the process faster and donating the right items will rapidly rank up the shops and make it possible to get fairly decent equipment early in the game – if you have the Gald on hand; since the prices rise too, despite the discounts. With five unique shop types and 99 levels to achieve for both, it will take a while to get at everything they have to offer, but fun and addictive to do and keeps the player on the lookout for material as they traverse fields and defeat foes. Graphically speaking, TOX really does look great and gives the world of Rieze Maxia a nice atmosphere to accompany its semi-rich lore and history. The accent of warm colors in some areas and vivid shades in others does make for some nice environmental and visual changes per landscape, but ultimately, not much to write home about either, especially after a couple of hours visiting the same looking expansive fields, only swapped to plains, marshes, tundras, etc. Much like its predecessors, Xillia lacks a Japanese track for those with a phobia for English voice-overs, but luckily like its forebears, snappy localization makes the series just as affable and amiable. So not only are the skits (optional scenes that range from adding to fleshing out back-stories to humors exchanges) still entertaining and well-done, there are also small little voiced conversations you will get while strolling fields and towns. It mostly results in characters moaning about hunger, but also how you may neglect to use them in battle or some other giggle worthy things – that get recycled rather quickly. Although, it is pretty entertaining to hear what most characters will say at any given time – even if it is Leia commenting on a specific food dish or Milla asking when is the next meal coming or even the chatter Teepo carries on. It might not be the “Tales” game that most of the crowd hoped it would be after the 2 year wait or even JRPG of the year, but TOX is far from a disappointment. Lacking some of the core elements that make it what it is and also getting rid of some tried and true elements, the “Tales” series in its own little way is trying to do what most established franchise have trouble with: change, staying relevant or breaking the mold. Whether or not it succeeds on that front is wholly up the individuals that agree to reach for it, but in my case, it is certainly a nice start, especially now with renewed interested gathered for the franchise. 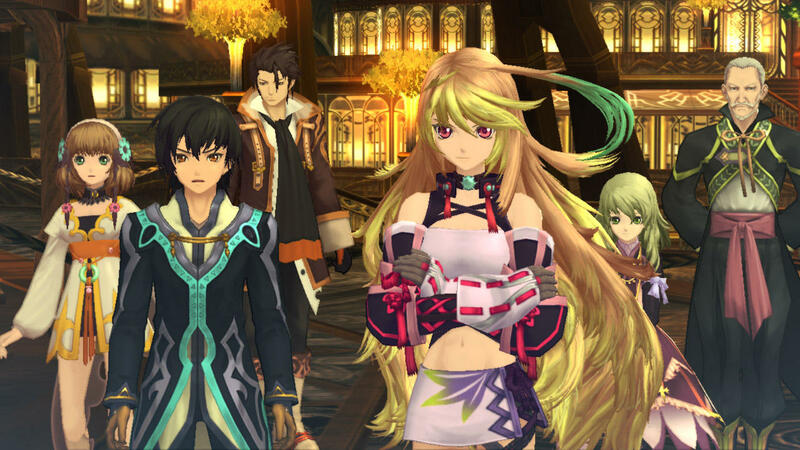 If nothing else, TOX is the start of a new and beautiful relationship with the “Tales” marque…or at least I hope so. Pros: Nice improvements to combat system, later half of the storyline, excellent world-building made short through optional events, shop/item acquisition. Cons: Story is slowing moving, most sidequest are annoying and require backtracking, dual protagonist system is pointless. I haven’t played the game myself, but I do love the Tales series and i’ve watched my flatmate play a little. Content-wise Xillia seems a little shallower than previous games in the series, with less to do after completing the game and fewer (less entertaining) side quests. Yeah, the sidequest are sort of a major annoyance and have heard of the post-game dungeon being easy to clear, but it is a fun nonetheless while it last. I have played some of TOX2 in the past (which is a big improvement), so I am also looking forward to the play localized version and even more so, the HD versions of Tales of Symphonia. I’d like to ask you a question, yeah. How old are you? Hate having to bring it up, but why do you ask? To better understand the tastes of an adult person and the evolutionary process of an adult’s cerebral cortex and desire for planets over plain countries. I want to solve the puzzle and better understand the mind of a young adult-adult internet reviewer. I want to figure out the mystery of the cerebral evolution of human desires and needs. Eh, kind of lost me there, but I like to think my age has little to do with my likes/dislikes and how I review material – or so I believe. But, I answer the question, I am 23. On the contrary, it explains a lot about the progression of a person’s tastes. It explains how many years have passed and how the person’s tastes have changed over the years. In fact, I understand now. This will prove most useful in understanding your preferences next time. I’ve gone off track. On to the game. I’ve only played 10 hours so far as I have other games I switch between. The bosses seem tougher to me than in Graces, or maybe my Tales skills have become rusty. I have yet to discover why this Tales story in particular is highly revered by critics. It does sound more serious than usual. I think Abyss was the last game I played with a more serious plot. Never played Vesperia. True enough, but truth be told, I am so fickle with most things I am not even sure what I like, lol. Video games in most cases follow this rule. Really? I found the bosses extremely easy, even on hard. I only had trouble with one particular boss near the start where it kept getting in cheap shots and finally turned it down on easy after losing four times. Graces F on the other hand, I found that one to be a good challenge boss wise. As for the story, it was okay, but was not as good as Symphonia or Abyss in my opinion. Only games I haven’t played in the series would be three NDS titles and Destiny 2. Vesperia was also good, but sometimes gets too much reverence. Hmm, you describing the plot as being okay also doesn’t tell me much either. Then again, this goes back to my “planet over island desire” theory regarding age. Ah, “fickle”. My favorite word to describe internet reviewers. I don’t use it often, mind you, but it’s the perfect word. Also, TP usage is kind of annoying as you either have to use a lot of A-Type artes just to regain some of it back without using Orange gels or something like that. I notice this in Tales of Hearts R (which is only in Japanese) along with defaulting to free move on the left control stick even though the system is very similar to Graces, despite using TP and CC for B-type artes and being able to do aerial attacks. While most of the early bosses were easy (I didn’t have to use life bottles) the later bosses. But still, I’m planning to get this game in the near future. It definitely a more trimmed down version of the Tales series and the story is not that good as I hoped it would be, but overall, it is worth playing if you like the Tales series and a good fit for new players to the series. I like the dual protagonist idea, it was just poorly implemented, but always nice to for games to include female leads. Lol, I found the CC to be more annoying than TP consumption in Graces, especially with Eleth Mixer. Can’t say much about the NDS titles, but hopefully I will get to play them some time in the future – if I ever have the spare cash to pick up JPN NDS, lol. 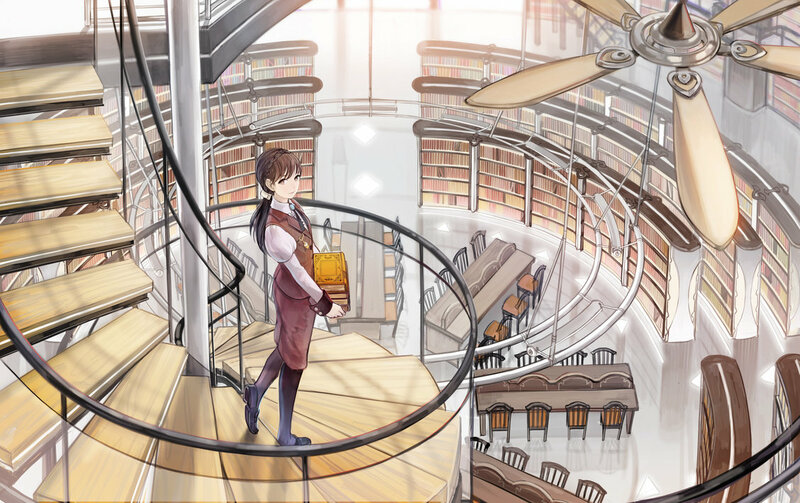 Hope you enjoy Escha and Logy. I don’t believe you actually played most or all the game on hard mode and then say it was extremly easy. I can name a few bosses off the top of my head that takes planning if your actually playing the whole game on hard. Nameless Anomaly is one that will murder you if you don’t plan accordingly or you basically do a lot of grinding. Well, believe it or not, but it was for me. Nameless Anomaly actually was one of the bosses I was talking about earlier in a comment above that gave me trouble. That was only boss that had to tune it down to easy. However, for that one in particular, you don’t need to grind show much as have the right equipment and link partner – which my friend showed me.